Something that most of our guests have never heard of is also nearly always the favourite thing they visit while in Philadelphia. Make sure you take a self guided tour at this National Landmark. Self guided tours start any time between 10am and 4pm. All tours are $12. If you bring your student ID you will only pay $8 or you can get a $1 off coupon here. 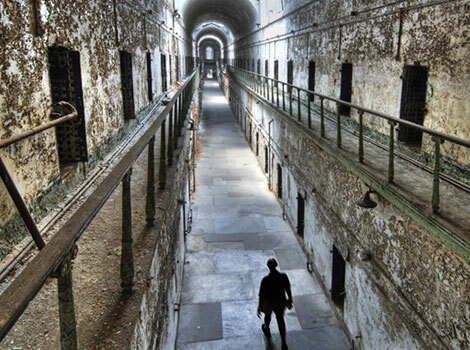 If you like to find out more about the Eastern State Penitentiary please read our blog. For directions how to get to the prison from the hostel please click here.